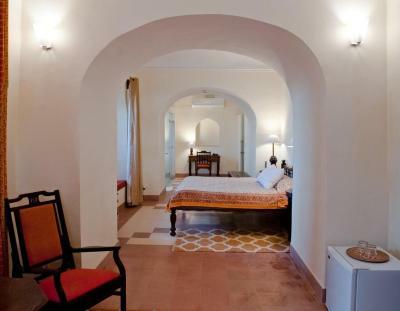 Lock in a great price for Neemrana's - Tijara Fort Palace – rated 8.3 by recent guests! 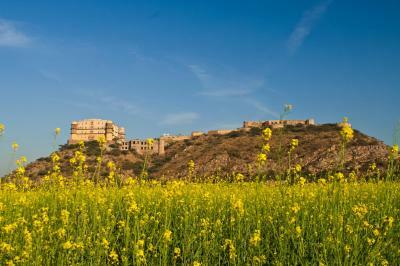 It is situated on the top of the hill And it is isolated to the village . 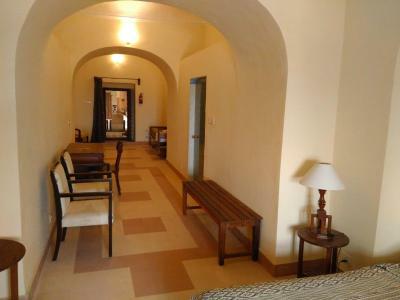 The staff are nice and friendly, some sections of the hotel give heritage feel. The pictures of then and now are interesting. The location is amazing ... whole site is great.. cleanliness is taken care of very well.. Pantry staff was very helpful.. we liked the Golf cart facility which helps you view the site .. Also the Gala event before dinner was great .. 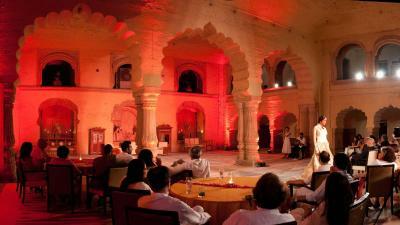 Despite very old fort, it has been renovated to provide modern facilities. The ambience, staff was helpful , polite and efficent. The staff was very polite and helpful. Also, we had booked the base category room. But because the occupancy was low, we were given an upgrade. 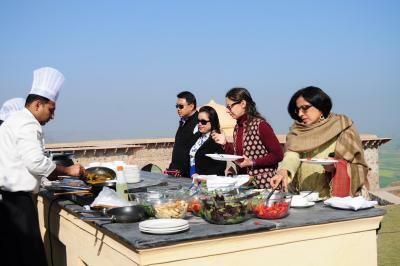 Hospitality of staff . Ready to serve any time what ever asked for . The location. 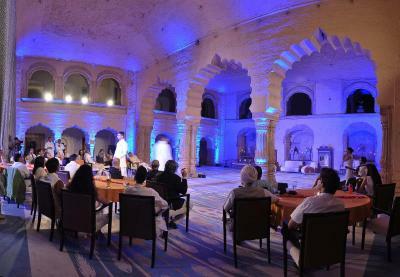 And the ambience. The heritage feel. Staff was excellent. We never had to look for one. Someone was always there to help. Nice property to stay. Great Chef and waiters .. Food is excellent and quality is good. Hi-Tea a well planned can be added with light music at venue. Good breakfast but South Indian Dosa can be added in buffet. 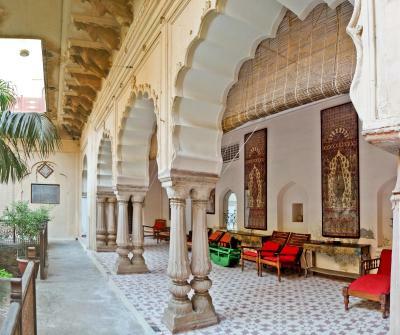 Neemrana's - Tijara Fort Palace is offering accommodations in Tijāra. Featuring a 24-hour front desk, this property also provides guests with a restaurant. Guests can chill out in the outdoor swimming pool. At the hotel, rooms come with a closet. 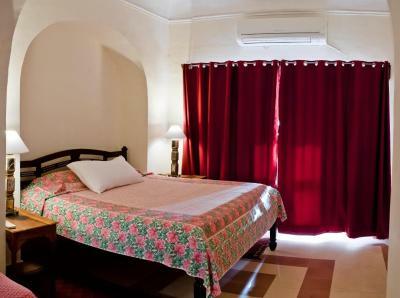 All rooms include a private bathroom with a shower and some rooms also feature a balcony. 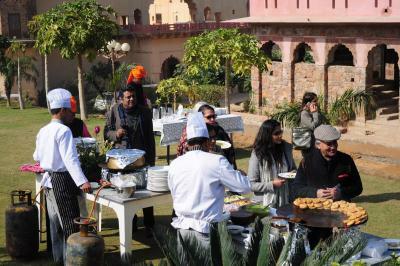 A buffet breakfast is available each morning at Neemrana's - Tijara Fort Palace. Delhi International Airport is 62 miles away. 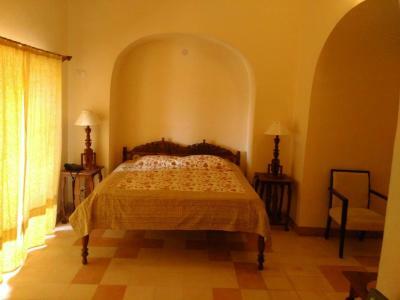 This property also has one of the top-rated locations in Tijāra! Guests are happier about it compared to other properties in the area. 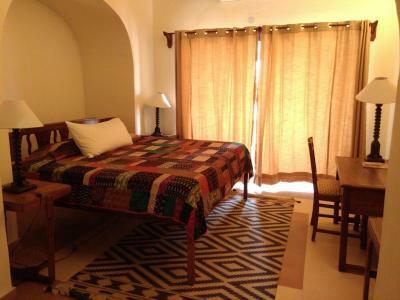 This property is also rated for the best value in Tijāra! Guests are getting more for their money when compared to other properties in this city. 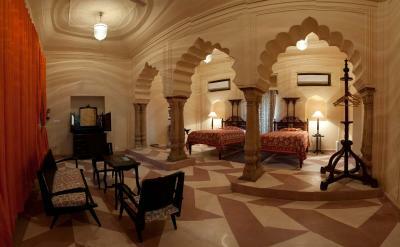 When would you like to stay at Neemrana's - Tijara Fort Palace? 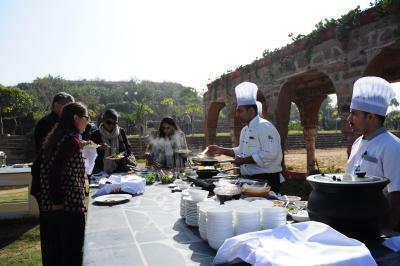 House Rules Neemrana's - Tijara Fort Palace takes special requests – add in the next step! 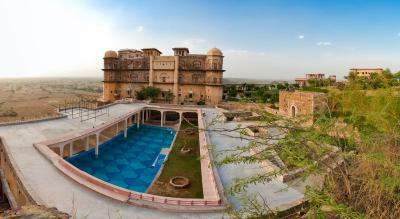 Neemrana&#39;s - Tijara Fort Palace accepts these cards and reserves the right to temporarily hold an amount prior to arrival. 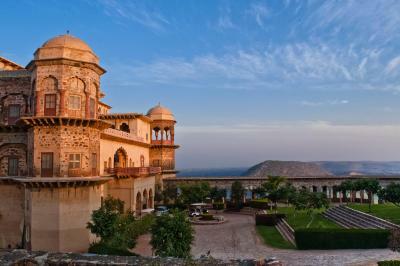 Neemrana's - Tijara Fort Palace accepts these cards and reserves the right to temporarily hold an amount prior to arrival. Please note that the property has mandatory gala dinner on Dec 24th, 2018. All the charges are to be paid directly at the property. They don’t have al carte menu on buffet. We liked everything. Although the food could have been a little better. It was a little bland for our taste. More warmth at the time of check in with some welcome drink will be better . Check in could have been better . With atleast a welcome drink or a cup of tea . An excellent property and staff . Two things. 1. Start room service 2. Start a bar. 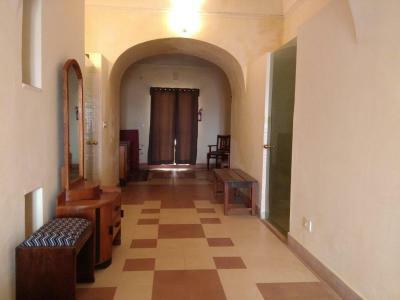 And provide some more facilities in room. 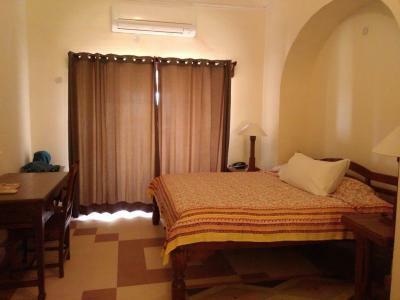 >Rooms can be provided with better bedsheets and blankets. 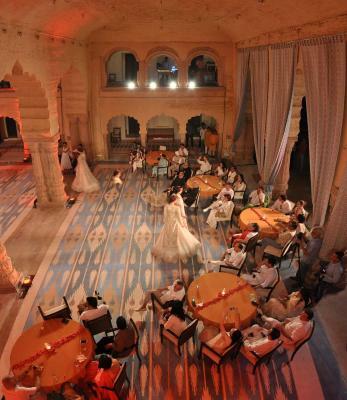 > We were shocked to see a newly married female guests (Couple) to driving the club car at 7.30 in the evening to mardana mahal how can the staff allow hotel guests to drive club cars putting other guests at risk. Please look into this matter. The bathroom and toilet in our room were separate and were not isolated by the room with a full vertical closure. You could hear and smell everything. There was no ventilation in the bathroom. And the toilet ventilation was only a window that opened to the noise of another room. Upon request for a change of rooms due to these reasons, we were denied a change or upgrade.